The first frost of the year melting into mist in the morning sun, originally uploaded by Brin d’Acier. The title sounds like a bad parody of a Japanese poem, but it’s simply a description of what’s happening in the picture. A very quick watercolour of the view from my office window, done before starting work. 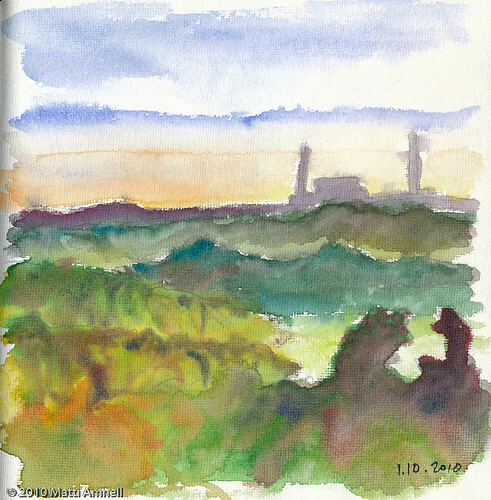 This entry was posted in Sketch of the day, Sketchbook and tagged city, espoo, finland, landscape, watercolour. Bookmark the permalink.